We’ve all been there, managing a project successfully can be difficult. Tasks need to be coordinated across team members, and before you know it, the deadline is tomorrow and you’re still nowhere near to finishing the project. To make sure that doesn’t happen, project managers often turn to Gantt charts as their project management tool. It’s a type of bar chart that breaks down the entire project into chunks of work, or phases, and shows the progression of work over time. 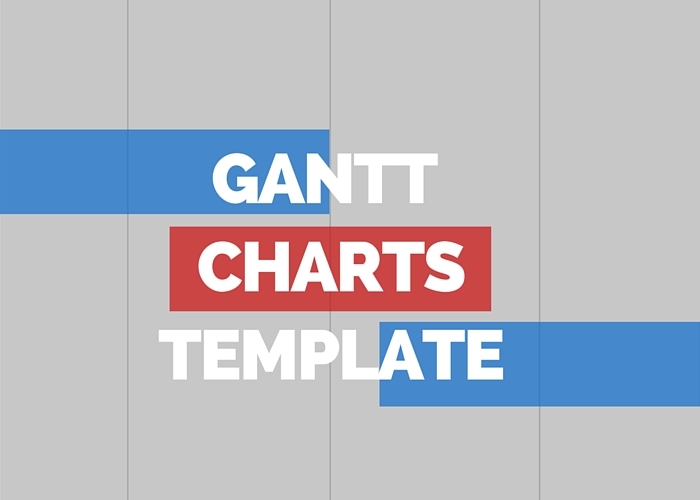 Gantt charts can be used for just about any type of project, from planning a marketing campaign to getting ready for a product launch. When executed properly, they are a great way to visually plan out a project. They help to identify potential bottlenecks in the project, as well as, to make it easier to identify tasks that may have been overlooked in the original planning. They also help establish timeframes and shows team members how their work relates to one another. Tasks often depend on each other, and it can be tough to figure out how long one task will take and when to start it. In Gantt charts, the left side of the chart is a list of the important project tasks, and along the top of the chart is a timeline. Each task is represented by a bar, and the position and length of the bar shows the duration, and the planned start/end of each task. This gives the team a better perspective of the total project and the required timeframe. Being able to see a visual schedule, will ensure that the project doesn’t fall behind. All participants can stay updated on the progress, and when it seems that the deadline won’t be met, alterations can be done to ensure the final product will be finished. Especially when projects are complex, you can end up spending too much time filling in and updating task details, when all you need is a clean visual to keep your team on track. 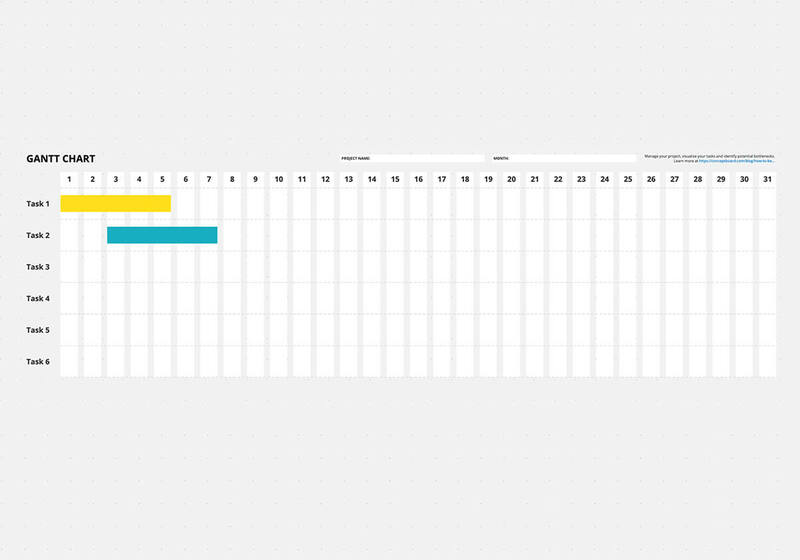 Create a Gantt Chart for your next project in Conceptboard with the help of the template above! Once you are done planning, you can insert supported files directly next to the schedule, keeping everything in one place, to start collaborating with your team right away.